Specialty: He is proficient in minimally invasive orthopedic therapy, treatment for lumbar and cervical disc herniation, bone joint diseases, rehabilitation therapy of fracture, cancer pain relieving treatment etc. Jiao Yan graduated from Henan College of Traditional Chinese Medical, majoring in orthopedics and further studied in the Tianjin Orthopedics Hospital and Zhengzhou Orthopedics Hospital, Dr. Jiao has over 20 years of experience in clinical orthopedic treatment, specialized in applying various advanced orthopedic treatment techniques, especially the minimally invasive orthopedic therapy. He is proficient in treatment for lumbar and cervical disc herniation, bone joint diseases, rehabilitation therapy of fracture, cancer pain relieving treatment. Besides, Dr. Jiao has published several papers in various well-known orthopedics academic magazines of China and is elected as an advanced worker and excellent individual in medical ethics. From 1989 to 1993, Dr. Jiao studied in Henan College of Traditional Chinese Medicine. Dr. Jiao engaged in clinical orthopedic treatment for over 20 years, good at minimally invasive orthopedic therapy. He has high attainment in treatment for lumbar and cervical disc herniation, bone joint diseases, rehabilitation therapy of fracture, cancer pain relieving treatment etc. 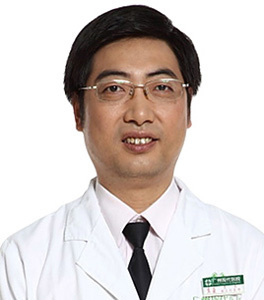 Director Jiao Yan has performed more than thousand of minimally invasive surgeries for lumbar disc herniation, cervical spondylosis, osteonecrosis of the femoral head, has successfully helped numerous patients with bone injury. His surgery has been recognized by medical world and gained praise from a lot of patients. Dr. Jiao has published several papers in various well-known orthopedics academic magazines of China and is elected as an advanced worker and excellent individual in medical ethics.